African Scuba Diving Holidays with DiveWild, a scuba dive tour operator based in Cape Town, South Africa. 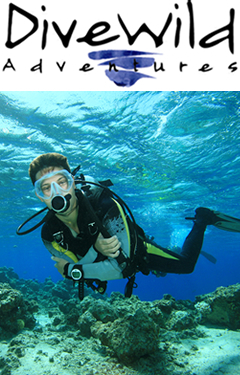 We operate resort and live-aboard scuba diving tours and safaris throughout Africa and its Indian Ocean Islands. Our Africa Scuba Diving Holidays website features the best scuba diving destinations in Southern and East Africa from Cape Town all the way up to Tanzania's Pemba Island. We have a selection of Africa Scuba Diving Holiday Packages to choose from, however, we also "tailor make' Scuba Diving holidays to fit your needs. So if you dont find a package on here that fits your needs perfectly, let us know and we will design one for you, based on Your Budget and Your Specific Requirements! "Welcome to the Oceans of Africa"
Browse through our diving holiday packages or let DiveWild tailor make your scuba diving holiday vacation to the various dive destinations in Southern and East Africa.